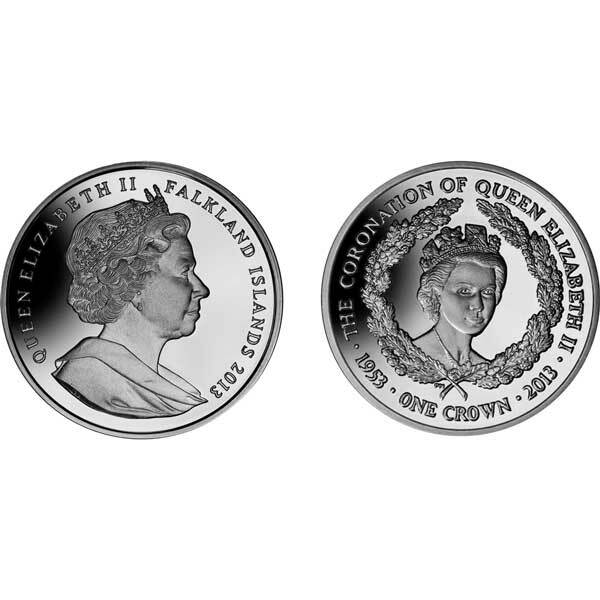 The Falkland Islands 2013 Lifetime of Service Coin by Pobjoy Mint is the second coin released to celebrate a Life time of Service by Her Majesty Queen Elizabeth II and His Royal Highness Royal Prince Philip. The wedding event of Her Royal Highness Princess Elizabeth to His Royal Highness the Duke of Edinburgh happened at Westminster Abbey on 20th November 1947 and His Royal Highness Prince Philip has assisted the Queen throughout. They have four children, eight grandchildren and two great-grandchildren with yet another due in July this year. Her Majesty Queen Elizabeth II acceded to the Throne on 6th February 1952 after the death of her father, King George VI. Her Crowning took place on 2nd June 1953 at Westminster Abbey, the thirty-ninth Sovereign and sixth Queen to be crowned there. 8,251 guests were in attendance; this was a massive event with even the route back to Buckingham Palace being laid out so that the Queen and her procession might be seen by as many people as possible. On 4th June 2013, a special Program of Occasion will be held at Westminster Abbey which will be attended by Her Majesty and the rest of the Royal Household to celebrate the 60th Anniversary of the Crowning Service. The coin features a central image of the young Queen covered by a garland of acorns and diamond stones. 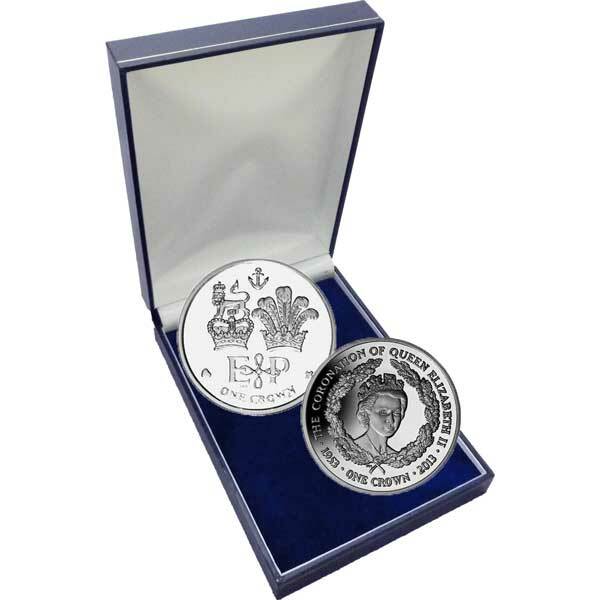 Approved by Buckingham Palace, the obverse bears a fine effigy of Her Majesty Queen Elizabeth II by Ian Rank-Broadley FRBS. This coin is available in Uncirculated Cupro Nickel.